Here is a link to Fr. Ryan’s post entitled ‘Reconsiderations’. This article discusses that post as well as Fr. Ryan’s writings in general. 1. There is no critical evaluation of his sources. When he cites a source, such as the opinion of a Saint or theologian, he treats that source as if it were infallible or at least inarguable. 2. The false claim that he is merely presenting the consensus or unanimous opinion of all the Fathers, Doctors, and greatest theologians of the Church. Any contrary positions — even in magisterial documents — are ignored. 3. The exclusion of all persons living today and of all theologians who disagree with his views from the set of theologians that he cites — the very few non-Saint theologians whose opinions he cites are exalted as the greatest and most reliable of theologians. All others are not considered to be reliable theologians. 4. He pays only lip service to the development of doctrine; there is no acceptance in practice of the growth in the understanding of the Church, as time passes, concerning all that has been handed down in Tradition and Scripture. Even mere theological opinion, once it is stated by St. Thomas, or by certain few Saints, or by certain very few theologians, is treated as if it is set in stone. 5. The error of fundamentalism: the fundamentalist Protestant does not acknowledge that his interpretations of Scripture and his theological arguments might err; he consideres that he is merely presenting the infallible teaching of the Bible without interpretation and without theology. The main error of all religious fundamentalism is in not acknowledging that the believer is interpreting, is using reason to understand the sources of faith, and therefore may err. 6. The early Church Fathers, in arguing against certain theological positions, did not hesitate to name their theological opponents, and to describe their position. When I argue against Fr. Ryan’s positions, I quote from his posts extensively, and I link to his posts so that my readers can see his entire theological position in his own words. And since the cited source is a blog, Fr. Ryan is free to add a new post clarifying any point that he would like; his theological opinion is therefore accessible to my readers. This practice of naming and citing opposing theological arguments and their authors is the common practice of theologians today. In his repeated replies to my posts and in arguing against my theological positions, Fr. Ryan never cites my name, nor the title of the post, nor does he provide a link to my posts so that his readers can see an opposing theological position. In fact, he rarely even acknowledges that any opposing theological opinion even exists that is worth considering, citing, or even refuting. I have many times presented theological arguments specifically refuting various errors taught by Fr. Ryan. His replies to my posts restate his own position, without any mention of my contrary position, and without any theological argument that specifically addresses my argument. 7. Fr. Ryan exalts the opinions of certain few Saints and certain very few theologians above the teachings of Sacred Scripture, and he exalts his own interpretation of past magisterial teachings above more recent magisterial teachings (or he simply ignores those recent teachings altogether). After reading and writing about many of Fr. Ryan’s posts, I have come to the conclusion that his online writings teach many serious doctrinal errors, at least a few of which rise to the level of abject heresy. This is not an accusation that I make lightly, and I always present a lengthy theological argument to support this accusation of the objective mortal sin of believing and teaching heresy. Before discussing particular heretical teachings, I should make it clear to the reader that heresy can be committed in either of two ways: obstinate denial or obstinate doubt. When the Magisterium infallibly teaches any doctrine on a matter of faith or morals, by Papal Infallibility or Conciliar Infallibility or under the Universal Magisterium, the obstinate denial or obstinate doubt of that dogma is the objective mortal sin of heresy. It is at least material heresy to so much as suggest that any position contrary to a dogma is tenable — even as an opinion. For example, if I were to say that maybe Jesus is the Son of God, or maybe he is just a mere human person, the assertion would be a grave heresy. A heresy expressed as a mere opinion, without any certitude, is nevertheless material heresy, and it is objectively a grave sin to believe and to teach. If the penitent’s mortal sins must be confessed again in a later confession, this implies necessarily that the Sacrament was invalid. So it does not save him from the sin of heresy when Fr. Ryan asserts the following: “I will admit that I should not have said that the sacrament would be ‘invalid’, since this is not the technical language which the Church uses.” For in effect he is still claiming that the Sacrament is invalid. And the validity of any Sacrament is not mere technical language. A Sacrament is either valid or invalid. It is not a technicality. Since all the Sacraments are necessary to salvation, the false claim that any Sacrament is invalid does grave harm to many souls and endangers their salvation. The Magisterium has NEVER taught that rejecting the particular penance assigned by a confessor means that you must re-confess your mortal sins (essentially, this is the same as saying that the Sacrament is invalid). In the document Reconciliation and Penance, Pope John Paul II teaches that the Sacrament consists of three parts: contrition, confession with absolution, satisfaction — but that not all three are essential for a valid Sacrament. Contrition and confession with absolution are indispensable for the validity of the Sacrament. But the penance of the penitent is essential only for “the completeness or the fruitfulness of the sign,” not for the validity of the Sacrament. But neither does Pope John Paul II teach that this penance of the penitent must be that particular penance assigned by the confessor. And I add that the satisfaction of Christ’s sacrifice on the Cross, and of the penitent’s contrition and confession are sufficient for a valid Sacrament, even without any acts of penance. But Fr. Ryan completely ignores this important magisterial document on Confession. He further ignores the fact that the Council of Trent taught very extensively on each of the Sacraments, and yet never taught that sins must be re-confessed if the particular penance assigned by the confessor is rejected by the penitent. The CCC also covers each of the Sacraments in detail, and also says no such thing. The claim that both of these sources omitted something essential for the forgiveness of mortal sin and therefore essential for salvation is absurd. “191. Q. What must we do to receive the Sacrament of Penance worthily? 3. We must make a firm resolution never more to offend God. 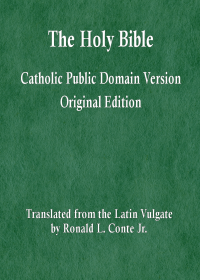 One of the problems with the Baltimore Catechism, the Catechism of Pope Saint Pius X, and the modern Compendium of the Catechism, is that they are so concise that one can easily misinterpret what is said, unless one reads these sources critically. A non-infallible magisterial source must be compared to the teachings of Tradition, Scripture, Magisterium, to see if there is a possible error, or — what is much more common — to ensure that the reader does not misinterpret. Fr. Ryan errs by not considering that the Baltimore Catechism might err, and by not considering that his interpretation of its text might err. Ordinarily, the penitent should accept the penance assigned by the priest; this is essentially all that is asserted by the Baltimore Catechism and the Catechism of Pope Saint Pius X. However, this acceptance of a particular penance assigned by the priest is not absolutely required for validity, nor for the forgiveness of sin, and no magisterial source makes such an assertion. A penitent might be, in some sense, less worthy of the Sacrament, by the way that he treats the assigned penance, but this assertion by the Baltimore Catechism does not imply that he is not forgiven. On the other hand, the brevity of the same source means that a full consideration of the question is not presented. What if the penance is too harsh or too light, and so the penitent chooses a different fitting penance? Only a Pharisee would deny to such a contrite penitent the forgiveness of God because of the mere rule that, in general, one should do the assigned penance. Fr. Ryan’s opinion that “those sins (at least those mortal sins) confessed without the intention of completing the penance must be confessed again in a later confession” is contrary to the teaching of Pope John Paul II in ‘Reconciliation and Penance’, and contrary to the constant teaching of the ordinary and universal Magisterium on the effectiveness of the Sacrament. Therefore, his opinion is heretical. Yet he deceitfully presents this opinion without mention of any sources or arguments to the contrary. He does not even mention the authoritative document of Pope John Paul II on this same subject. Sacred Tradition, Sacred Scripture, and the Magisterium have always constantly taught that Hell is a place of eternal punishment and eternal unhappiness. The continued assertion by Fr. Ryan, even as a mere opinion, that millions of souls in Hell are “very happy and perfectly fulfilled on a natural level” is abject heresy. It is an objective mortal sin for Fr. Ryan to teach this idea, even merely as a tenable position, to the faithful. The article that Fr. Ryan cites from the Catholic Encyclopedia is from 1910. It is not currently the majority opinion of theologians that unbaptized infants go to any form of limbo. His interpretation of the ITC document is erroneous. The ITC does not state that natural happiness in the limbo of Hell is a possible theological opinion, but rather that limbo as a third final destination is still tenable. No one goes to Hell except by committing an actual mortal sin AND persisting unrepentant in that sin unto death. This is the clear teaching of the ordinary non-infallible Magisterium in the CCC. Why is it not even worth mention in Fr. Ryan’s many posts on the subject of salvation? Fr. Ryan emphasizes past Catechisms, while ignoring the much more lengthy and much more thorough Catechism of the Catholic Church. “But without Christ’s help, fallen man is incapable of directing himself to the supernatural goods which constitute his total fulfillment and salvation.” (Pope John Paul II). Fr. Ryan sins gravely by teaching the faithful that they may believe that happiness in Hell is possible. This teaching is contrary to the constant teaching of the Church that Hell is a place of eternal unhappiness. See my lengthy argument on this topic. In his post called ‘Reconsiderations’, Fr. Ryan does not even address another important point on salvation. In a previous post, Fr. Ryan claims that everyone who dies unrepentant from even one venial sin is sent to Hell. This heretical claim is an open rejection of several different magisterial teachings on sin and salvation. See my article here. It is absolutely astounding that any priest could make this many grave errors on the topic of salvation, while completely rejecting all correction and all theological arguments to the contrary. This type of obstinacy in the objective mortal sin of teaching heresy does grave harm to many souls. And I see from many of the comments after these posts that Fr. Ryan has succeeded in leading many souls astray. They praise him for his heretical teachings and grave doctrinal errors, and he basks in the glory of that praise. Fr. Ryan merely restates his past erroneous claim, that most non-Christian children commit a mortal sin, when they reach a certain moment “which is the first self-cognizant act”. He thereby accuses the children of most Jewish, Muslim, Mormon, Jehovah’s Witness, Hindu, and Buddhist families — in fact most children in the world and most children throughout all of human history — of actual mortal sin deserving of eternal punishment in Hell. There is no basis in the teachings of Tradition, Scripture, Magisterium for such a grave false accusation. The teaching of Jesus about little children has been utterly rejected by Fr. Ryan: “Amen I say to you, unless you change and become like little children, you shall not enter into the kingdom of heaven.” (Mt 18:3). Fr. Ryan teaches the contrary, that most little children who are unbaptized sin gravely (for no apparent reason) and therefore deserve Hell. But then the words of Jesus seem to have very little to do with what Fr. Ryan teaches on salvation in general. He seems to hold the teachings of St. Thomas and of Fr. Reginald in higher esteem. Fr. Ryan errs by assuming that there is a certain moment when the child, all at once, is capable of the full use of reason regarding faith and morals — as if prior to that point any use of reason was not sufficient for even a slight venial sin. He errs by assuming that the child must necessarily be given a baptism of desire (his use of the term ‘quasi-‘ to refer to a baptism of desire is offensive and foolish) or must commit an actual mortal sin deserving of Hell. And there is simply no basis in sound Catholic theology for the conclusion that MOST would choose actual mortal sin, even if one were to begin by assuming the aforementioned errors. In the world today, there are (very approximately) one billion persons who are undernourished or malnourished, and one billion persons (not necessarily the same set of persons) who do not have access to clean safe drinking water. There are approx. 500,000 children who go permanently blind each year merely from a lack of vitamin A; and about half of those children die soon afterward. There are a very large number of persons in the world today who lack the necessities for survival, and many more who lack other basic necessities (beyond what is needed to survive). Therefore, we need not say “if” there are poor persons who lack basic necessities. Fr. Ryan’s claim that the wealthy, in this situation, are committing objective mortal sin is contradicted by Sacred Scripture, which describes Joseph of Arimathea as both a just man and an wealthy man. In effect, Fr. Ryan is accusing all wealthy persons of objective mortal sin, including all the wealthy benefactors of the Church throughout history. Persons who are wealthy, who donate generously to parishes, dioceses, and to the Church in other ways, who also donate generously to other charitable causes, are in his view nevertheless guilty of objective mortal sin. This claim is a grave false teaching on an important matter of morality, and is a grave false accusation against a very large number of persons. Fr. Ryan continues to assert, as if he were presenting a wonderfully insightful teaching, that Jesus called the Canaanite woman a dog. The claim our merciful Lord would treat any woman (or any man or child, for that matter) in a deliberately insulting and demeaning manner is in effect an accusation against Jesus. The end does not justify the means. Therefore, Jesus would not speak in a demeaning and insulting manner to any human person, not even for the good end of teaching us something. In fact, as is clear from a simple reading of the Scripture passage in question, Jesus did not call her a dog. He used the term dogs, plural, as a figure to refer to the Gentiles in general. Fr. Ryan’s description of this story in Scripture as: “The divine insult – ‘You are a dog’ ” is a grave misinterpretation of Scripture. Jesus would never call any woman a dog. But whenever there is any conflict, even if only an apparent conflict, between certain few Saints and theologians versus Sacred Tradition, Sacred Scripture, or the Magisterium, Fr. Ryan invariably sides with his own interpretation of those few Saints and theologians. He never uses Tradition, Scripture, Magisterium to show that these Saints or theologians have erred at all. He never sides with Sacred Scripture, even when its teaching is clear and definitive, if his own interpretation of these Saints or theologians writings is to the contrary. He does not acknowledge that those few sources may err, nor that he himself might err in understanding those sources, and as a result he ignores any teaching to the contrary, even in Tradition, Scripture, Magisterium. There are other serious errors in Fr. Ryan’s writings, which I have argued against without any reply from him. In fact, when he does reply, it is only indirectly. He ignores my arguments and simply restates his own position. Suppose that a man puts a sign on his front yard, openly speaking harshly and unjustly against his neighbor. Then the man approaches his neighbor and says that he is deeply sorry and sincerely asks for forgiveness. But he does not take down the sign. No reasonable person would conclude that this claim of sincere sorrow is true. Fr. Ryan has not removed the harsh words and false accusations, the name-calling and deliberate insults, against several different persons (including myself) from his blog. Therefore, I conclude that he is not deeply sorry, and he is not sincere in asking for forgiveness. As for my writings against Fr. Ryan, I am justly correcting him for his grave doctrinal errors. I am attempting to protect the faithful from the harm that might occur if they accept and live these errors. 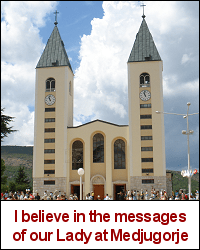 It is right for me to argue against heresy and doctrinal error. And I will continue to do so. Gallery | This entry was posted in arguments, heresies. Bookmark the permalink. Thank you Ron for this post. It really shows your concern for this priest and his followers. I do hope he actually makes a link to your post on his blog. This would at least give the reader both sides of the theological arguments and would also show Fr. Ryan is not afraid of his own arguments. Sadly, he is still a bit of a juvenile in this respect. So, if contrition is lacking, will the sacrament be invalid ? The Church teaches that the Sacrament of Reconciliation consists in three parts: contrition, confession with absolution, satisfaction. Contrition is required for a valid confession; so is proper confession with absolution. However, satisfaction is not a part of contrition, but is a distinct third part of the Sacrament. The acts of penance of the penitent are not required for validity, because the Satisfaction of Christ on the Cross is the primary satisfaction of the Sacrament. And the acts of contrition and confession also are acts that make satisfaction. IN FACT, in some cases, after making a good contrite confession, there is no temporal punishment remaining to be satisfied. The desire to make satisfaction for our sins is not an essential part of contrition, such that its absence would mean that the person was not contrite. The Council of Trent infallibly defined contrition as: “a sorrow of mind, and a detestation for sin committed, with the purpose of not sinning for the future. ” Pope John Paul II reaffirms this definition of contrition in Reconciliation and Penance: “a clear and decisive rejection of the sin committed, together with a resolution not to commit it again”. Fr. Ryan lacks the magisterial authority to change or add to the definition of contrition given by the Council. But Fr. Ryan is not merely claiming that the desire to make satisfaction is necessary to contrition, which is necessary for validity. Fr. Ryan is also claiming that the particular penance assigned by the confessor, and no other penance, is essential for validity. This is a novel idea, not found in Trent or the CCC or Reconciliation and Penance.